Stiles Stilinski: So you're telling me we gotta go up against this thing blind? And face our deepest fear? Scott McCall: Yeah. Why? What do you fear the most? Stiles Stilinski: Yeah, terrified of it. Always have been. This just seems to be a situation of unfortunate overlap. The final war, The final suffer, the final victory. 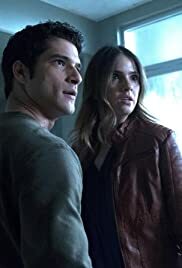 The plot was at its peak the whole season even with different type of evil creatures they faced it all built up to this episode facing their greatest fears a fear that stuns you and turns you to stone. The episode had so many "WTH just happened!" moments especially those where characters we cared about have turned to stone or that gruesome thing Scott did to himself at the last part !! gosh !! but the best of them all was the coach appearance lol, i just couldn't handle it... so again all of that made the finale the highest rating of the whole season. The cast was amazing, i mean through all of these years the whole story of Teen Wolf became their own and they interacted and engaged really well and made us love the series "in general" lol..but yeah i gotta admit seeing the original cast all together from Stiles to Derek to Jackson was really heartwarming and nice. 21 of 23 people found this review helpful. Was this review helpful to you?